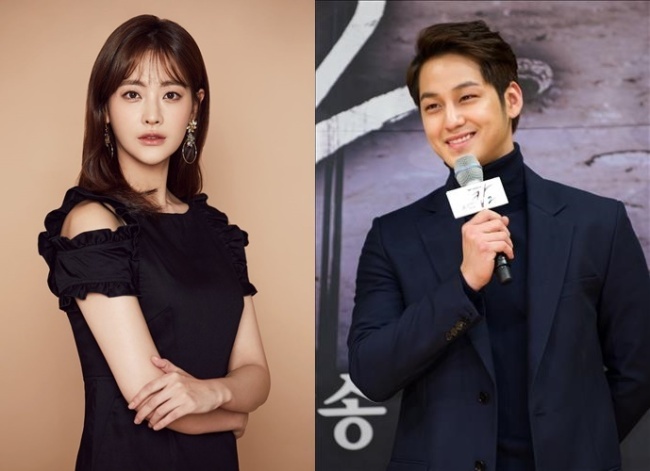 Oh Yeon-seo and Kim Beom admitted that they are in a romantic relationship. A news report on the relationship surfaced Monday morning. According to the report, the two have been spotted multiple times, dating in the neighborhood of Cheongdam-dong, Seoul. The couple’s agencies quickly confirmed the news, explaining that the two stars met at a gathering after Oh’s recent drama “Hwayugi” ended in early March. Finding it easy to talk to each other, the relationship quickly developed. Oh debuted as a singer in 2002, as a member of a girl group named LUV. She switched to acting the following year, and has been pursuing an acting career, starring in several films and dramas.